Globus family of brands hosted its annual partner appreciation event at Capra’s Kitchen in Mississauga on Jan. 18, welcoming a high-profile group of industry VIPs. A great time was had by all at the annual luncheon. 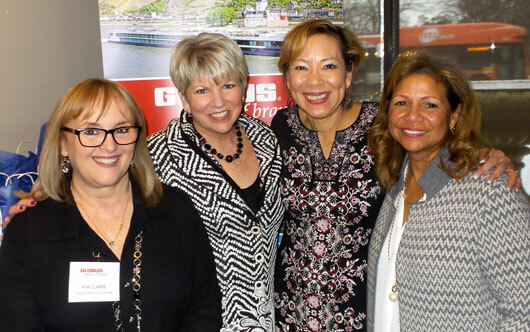 Seen here, from l to r, are Kim Clarke, Globus; Patrice Geske, Globus; Christine James, TL Network Canada; and Stephanie Bishop, Globus.